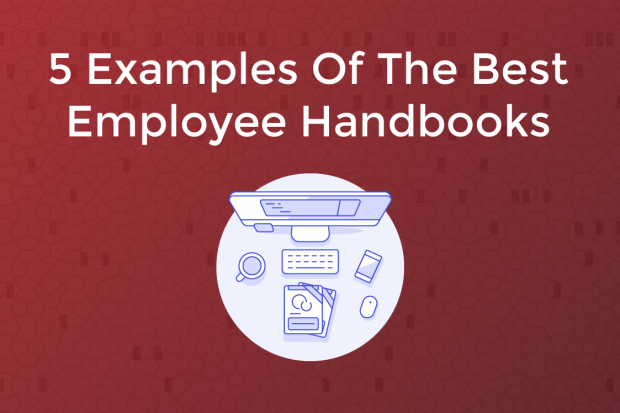 If you’re sitting there wondering what should be included in an employee handbook, you’ve come to the right place — we’ve scoured tons of employee handbooks for you to find the best examples out there to draw inspiration from. In addition to covering laws and regulations (more on that here), the greatest employee handbooks out there all have one thing in common: They’re unique. They have an original voice and tone and are memorable. 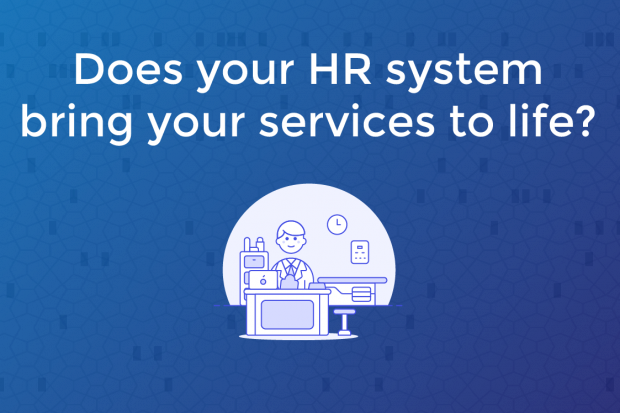 Some companies are now even creating both employee handbooks AND culture books, while others are choosing to combine both in one extensive book. 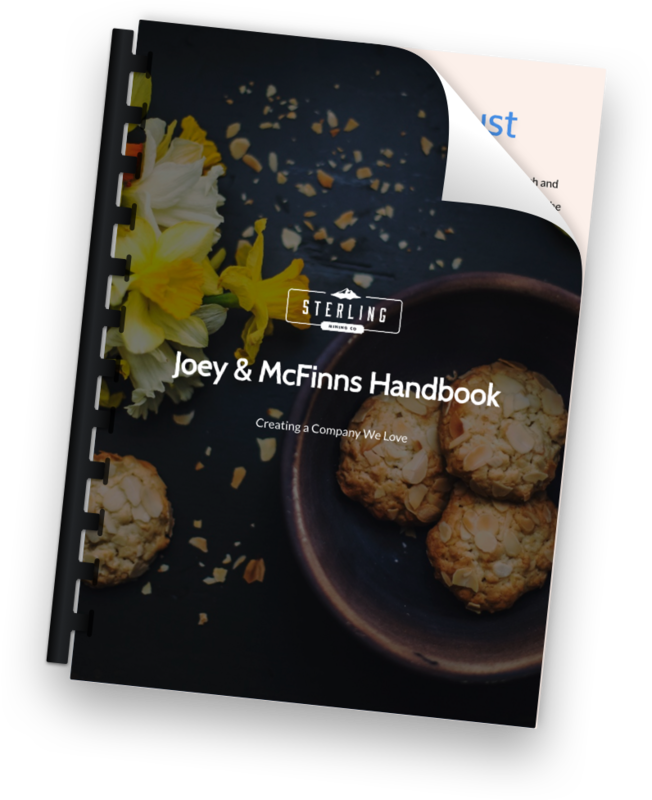 And let’s not forget that while handbooks are an awesome way to welcome new employees, they can also be a great recruiting tool should you decide to make your handbook public to complement your company’s current employer branding efforts. 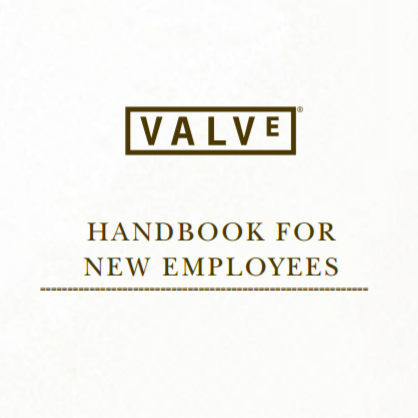 Valve’s notorious employee handbook went viral and is commonly shared as an example of a strong handbook (and for good reason!). I mean, how many company handbooks throughout history have gone viral? Not many. The handbook itself is empathetic, informative, and friendly. Not only does it walk new employees through their first day, but it also goes into the company’s philosophy by providing real, useful examples. For example, in one section, they mention that the company has a flat structure and that each employee is in charge of choosing his or her own projects. The book mentions that as an employee, you may be invited to work on many projects within the company — but that ultimately, it’s up to you, the employee, to decide which projects to work on (regardless of anything else). By writing down and referencing real, specific examples, employees can more easily prepare for different situations before they happen. 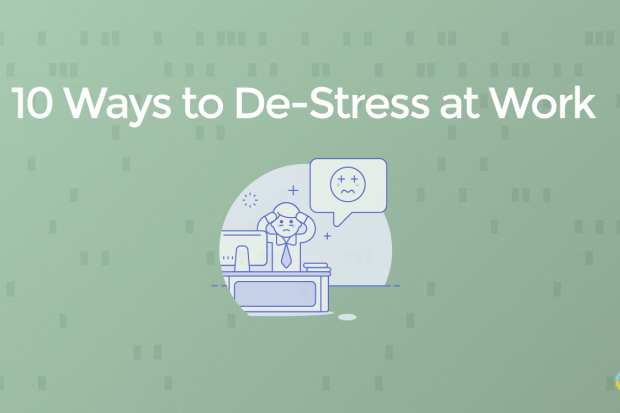 It makes employees more comfortable and at ease during the onboarding process, and it’s also a great way to stay consistent as your company grows. 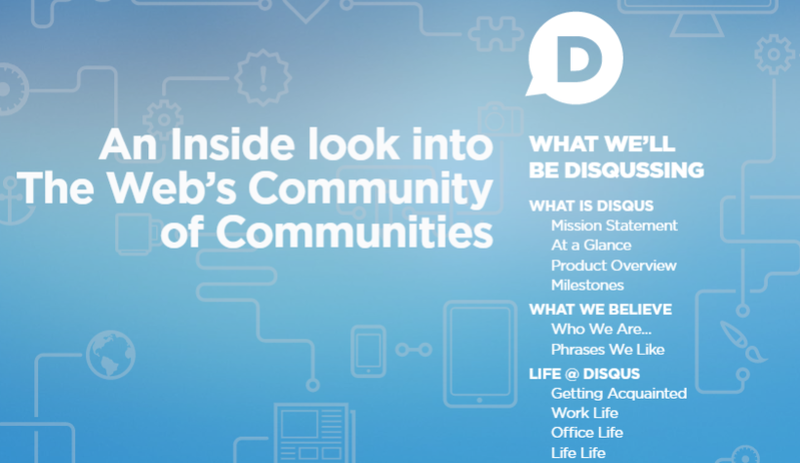 The Disqus Culture Book is another example of a handbook that is full of personality. Far from boring or typical, this book covers everything from life at Disqus to their favorite phrases (and everything in between). The writing itself is conversational, making it super easy to read and relate to. In other words, it sounds like a real human talking — not a robot. Not only is their culture book beautifully designed, but it’s also full of casual memes and photos to lighten things up and showcase their work culture. Don’t get me wrong: The book is professionally done — but Disqus realizes that you can still be a great company without sacrificing personality and individuality, and this book is a perfect example of this in practice. The book also includes a timeline and history with company milestones, to show employees when the company was started and how it grew over time. Not only is the Disqus culture book an excellent way to welcome new team members and show them what to expect, but it also offers a down-to-Earth look into what it’s like working at Disqus, which can be useful in attracting potential new recruits to the company. It’s a win-win. If you’re looking to create a modern handbook in a similar style, I’d recommend checking out online handbook builders like AirMason. Let’s not forget that you can get quite creative with presentation when it comes to showcasing your company mission and values, too. Don’t be afraid to think outside the box, because standing out can really work in your favor. 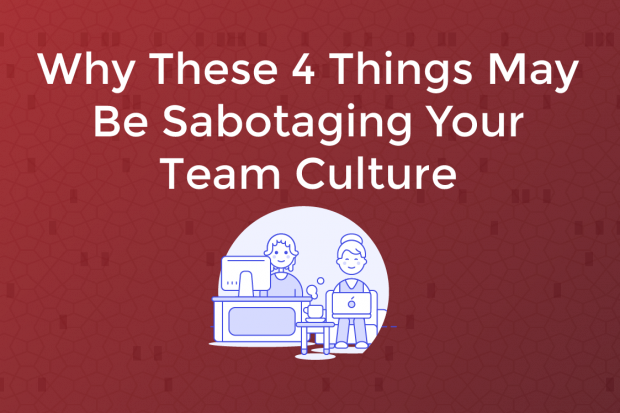 For example, HubSpot published their Culture Code slide presentation on SlideShare as a way of demonstrating their mission and revealing who they are. Not only is this a creative way to talk about your company values, but it also happens to be perfectly in line with their inbound marketing product. In other words, they practice what they preach — even down to their HR efforts. The visuals are rich with photographs, illustrations, and beautiful design. The SlideShare presentation proved itself as a very effective way to get their message across and recruit new candidates and received many, many views. Whether it’s a slideshow, movie, blog series, or eBook — there are so many ways to promote your company’s message. If you’re big on company culture, chances are you’ve heard about Zappos more than a few times. Zappos has become a leader in company culture, from offering employees thousands of dollars to quit if they aren’t a good fit, all the way to their heavy focus on excellent customer support. So it really came as no surprise that in 2014, Zappos published their Culture Book online for all to see, and it generated quite a bit of buzz. This book includes their values and mission, along with TONS of testimonials straight from — you guessed it — the employees themselves. The reviews from employees are inspiring to read and highlight what it’s really like working at Zappos. Besides, who better to talk about what it’s like working for a company than its very own employees? Think about it: When someone recommends that you try something they’ve been doing for years and love, aren’t you much more likely to consider it? The same can be applied to recruiting talent to your company: The more stories and employee testimonials you have, the more potential candidates have to learn from. Netflix created a guide to their freedom and responsibility culture guide, which was eventually posted to SlideShare in an easy-to-digest format. Not only is it extensive as ever, covering company-wide values (like their no-brilliant-jerks policy), but it also talks about how they plan on scaling while keeping their original values. The Netflix culture slides are straightforward, conversational, and informative, preparing employees for their journey ahead. 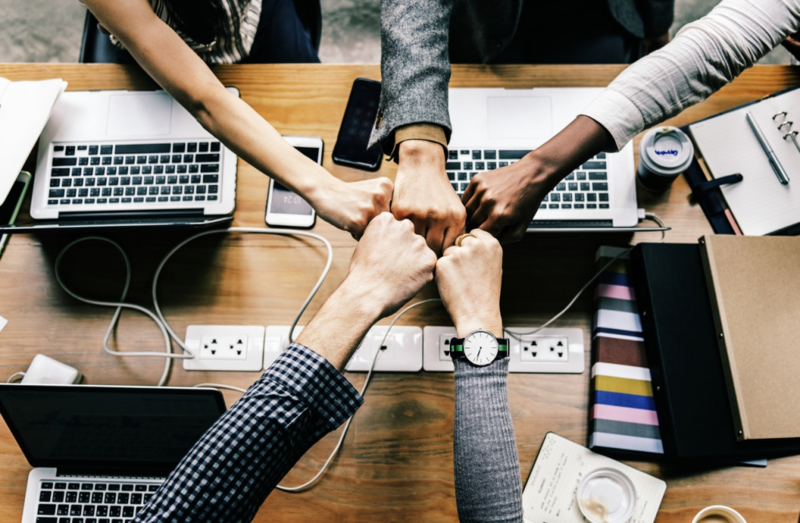 Whether you want to talk about your company’s culture, company policies, or both — getting it down in writing is always a good idea. The truth is that it’s never too early to start writing down your values, and as your business grows, it’ll help you stay consistent and organized. Plus, everyone will be on the same page (and who wouldn’t want that?). There are many ways to get started — you can craft your own from scratch, or you can use an online tool like AirMason (example above) to generate modern and beautiful handbooks (which you can host online or export as a PDF to print). 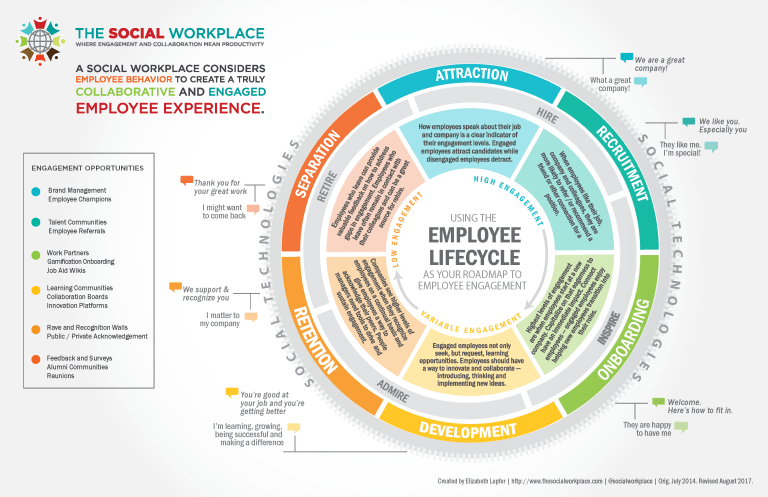 Do you have an example of a great employee handbook? We’d love to hear about it!